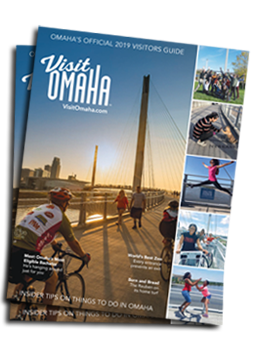 “If we sound like a broken record, that’s because Omaha has experienced five straight years of tourism growth,” said Keith Backsen, Executive Director of the Omaha Convention and Visitors Bureau (OCVB). “What’s even better is the amount of money visitors are spending in Omaha is outpacing the national average.” According to the U.S. Travel Association, visitor spending nationwide increased 8.4% from 2012 to 2014, while in Omaha visitor spending increased 11% during that same time frame. The Tourism Economics research shows that tourism saves each Douglas County taxpayer $682 per year. The report states that without tourism, taxes would go up or government services would go down. The visitor outlook for 2016 looks promising. The OCVB’s meeting sales team is 149% above its booking pace for next year, the city is hosting the U.S. Olympic Swim Trials for the third time and Omaha’s Henry Doorly Zoo and Aquarium plans to open its new African Grasslands exhibit, which is expected to attract even more visitors. Click here to see additional information from the 2014 economic impact report.